A Texas woman has been crowned with the title of the world’s longest fingernails with a total length of more than 18 feet long. The long nails belong to a nail artist from Houston, Texas her name is Ayanna Williams. 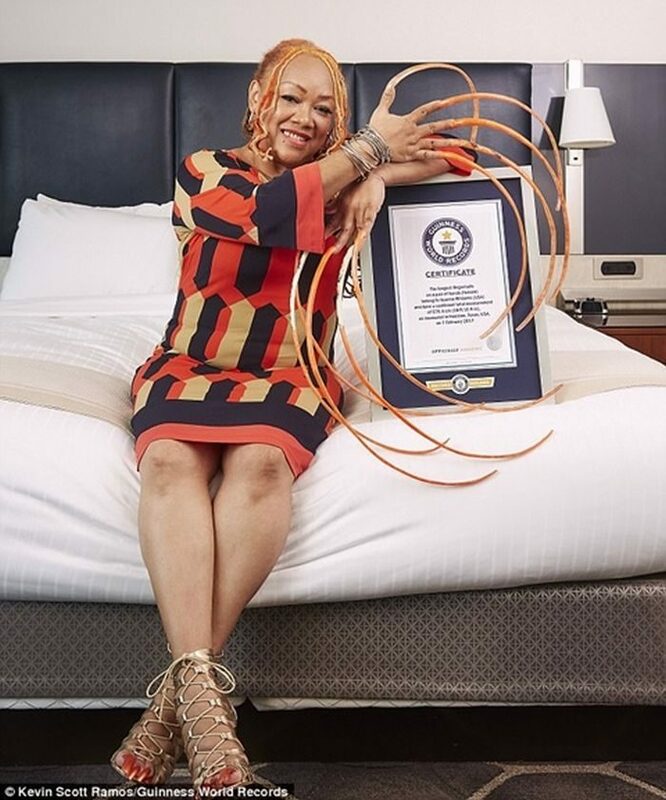 Her nails, each of which is just under two foot long, have earned her a place in the Guinness World Records 2018 Edition. 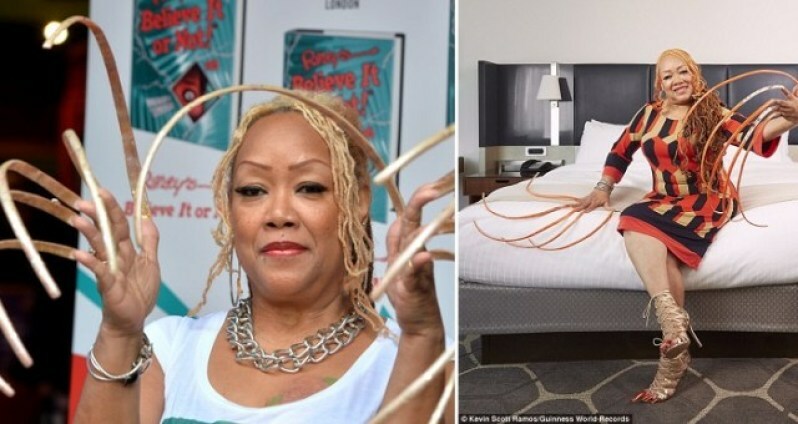 According to reports, she also revealed that the most challenging thing about having extremely long fingernails, which can take up to one week to paint, is pulling up her trousers. While she’s constantly getting lots of attention for her nails and knows she is rather unique, her friends and family think it’s quite normal. ‘To let my children know that anything they want to accomplish can be done. It takes courage, discipline, and patience but it can be accomplished,’ said Ayanna on her reason for applying for the record.